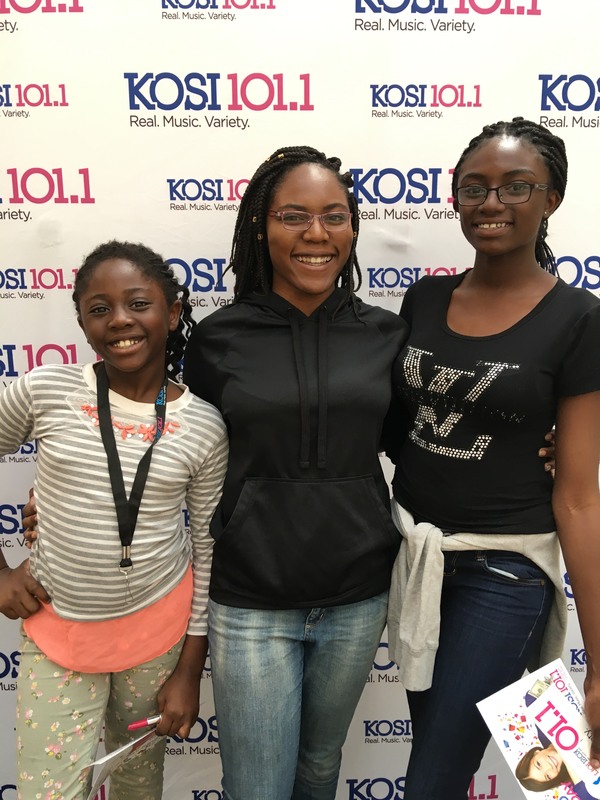 In 2007, Andrea arrived in the United States from the Democratic Republic of Congo with two young daughters and pregnant with a third child. She was fleeing brutal political upheaval and seeking asylum in the United States. Her husband’s association with the recently overthrown Congolese government put her at significant risk anywhere in Africa. When she didn’t hear from him for several years, she assumed he had been killed in a bloody conflict that took approximately 800,000 lives in the Congo. Andrea was 20 when she married Damian, an architect for the palace in the Congolese capital of Kinshasa. Within a year of their marriage, rebel leader Laurent Kabila began the First Congo War by overthrowing president Mobutu Sese Seko. Mobuto fled to Morocco with his family and government workers including Damian. In Morocco, Damian was unable to contact Andrea. Because Kabila’s rebel forces assumed anyone who worked for the government had money, Andrea was in grave danger. She was discovered by the rebel forces and brutally raped. She fled to her uncle’s house where she was again confronted by the rebels and raped. She then fled to her father’s country house where her mere presence put everyone at risk. For the next couple of years, she rarely left her home. Years passed until Damian finally was able to contact Andrea through his family. They reunited in Morocco, where their first two children were born. Damian was unable to find consistent employment due to cultural and religious factors and strict employment regulations. Learning of an attempted coup against the rebels, Damian returned to the Congo. Pregnant with their third child, Andrea stayed behind but she had no means of support since Morocco did not allow women to work. When Andrea heard of the political violence in the Congo and received no word from Damian, she assumed he had been killed. She contacted a friend in Boston who helped her get to the United States. He encouraged her to relocate to Denver, which has a sizable Congolese community. While in Denver, sitting exhausted and disoriented on a park bench, Andrea was befriended by a member of a local Methodist church. 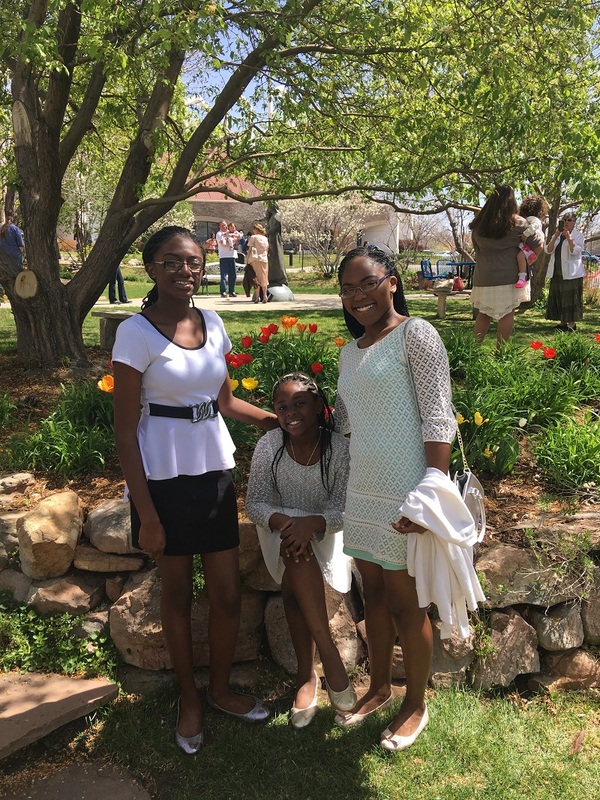 She and her daughters were adopted by the church and began to rebuild their new life in Colorado. Asylum is the most difficult way to get citizenship in the United States. Not only must the candidate prove that their country of origin is dangerous, but that there is a specific danger to them. Andrea hired an attorney but could only afford about $1,000 of work–work that turned out to be poorly done. Within a year, the court had refused her request for asylum, primarily because it did not find her testimony credible. She and her three children were ordered to be deported, but the court did not immediately enforce the directive. She was required to check in with the U.S. Immigration and Customs Enforcement every sixty days. Every time she did, there was the possibility that she would be jailed or deported. Andrea worked sporadically as a hotel housekeeper and other similar roles while she pursued asylum. When local employment regulations tightened, she was unable to find work but persisted in taking nursing classes. Her two oldest daughters helped her learn English (her first language is French) and the church continued supporting her. “Baby clothes, a crib, lots of donations,’ the church Outreach director said. Three years ago, the church helped Andrea file an appeal in her asylum case even though reversals of decisions in these types of cases are rare. The church entered new evidence: a psychologist attested that she has PTSD and a doctor testified to the permanent scars from the rapes. The church had to fight to prove that people were still being viciously persecuted in the Congo from the Mobutu period but they succeeded in getting the court to overturn its original decision. “Andrea didn’t even need to speak,” Andrea’s longtime friend said. “The judge understood more fully what she went through and granted her asylum.” She got her green card last year and recently passed the CNA test; she hopes to become a nurse. 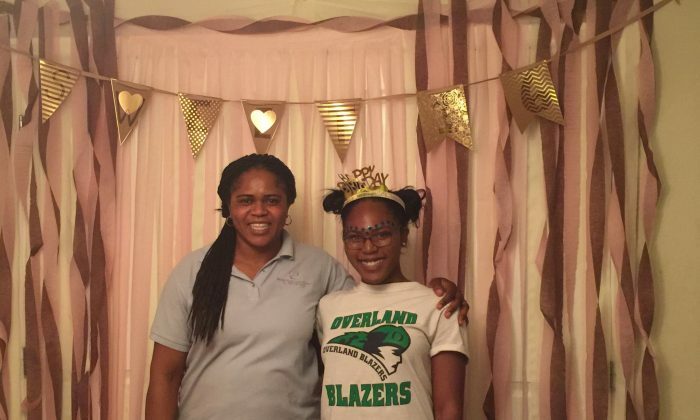 Her oldest daughters are honors students in Denver high schools; one is a cheerleader and one is on the student council. The oldest wants to pursue a medical career and the middle daughter is considering a career in either medicine or law. Andrea is a deeply spiritual woman and regularly attends a Catholic church where her two oldest girls were confirmed. Although they all share a small two bedroom apartment and one phone among them, their life is a stable and happy one. Then, about six months ago, Damian called. Still in Africa, he found Andrea’s father and asked for permission to reach out to her. “I was shocked, and I had so many questions. Why did you not contact me for ten years?” Andrea said. Damian had been a political prisoner and later transferred to a refugee camp. He had had no means of contacting Andrea. Many questions remain, but Damian has arrived in the United States with permanent-resident status and is living with Andrea and their children.